I think I have every type of coconut product in my house. Okay, wait, I’m lying. I don’t have any coconut milk (canned or cartoned), no coconut yogurt, and no REAL coconut. But everything else…I’ve got you covered 😉 And I’m talking the most obscure coconut products too. You’ll see what I mean in a minute. But really, I love coconut, in all forms. Shredded coconut, coconut extract, coconut flour, coconut butter, coconut oil, coconut Paleo Wraps, and coconut cereal (yes, just be patient, I’ll explain soon.) 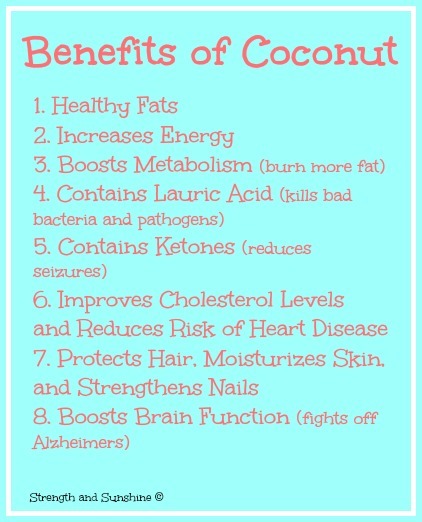 Coconut not only is just simply delicious, but it also has a plethora of good for you benefits! Coconut is pretty amazing is it not? I know some people just don’t like the taste, but I bet they haven’t had the heavenly Stoneground Raw Organic Dastony Coconut Butter (on a Japanese or Purple Sweet Potato). Not only can coconut be a perfect “dessert” flavor, but it is perfect as a breakfast option. 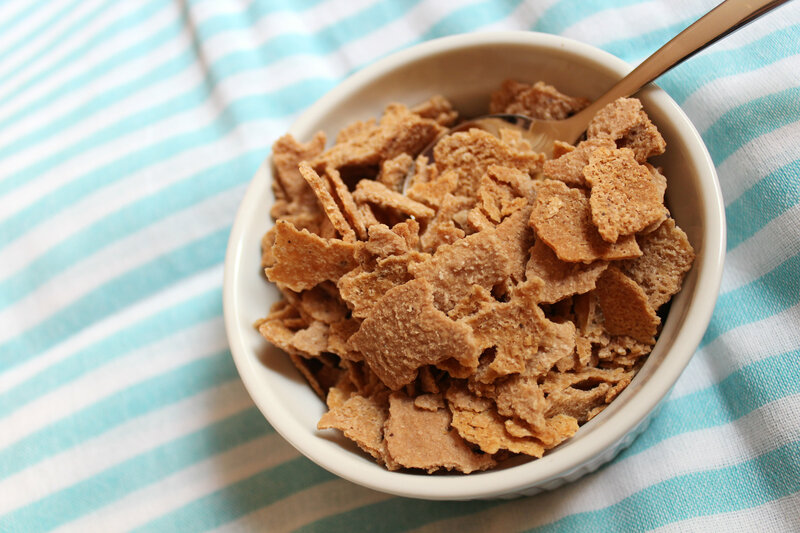 I found this old (very old) Coconut Quinoa Flake recipe I never shared with you and thought I might as well since this post is all about coconut! It is coconut packed and full of nutrition and staying power to fuel through a long morning. 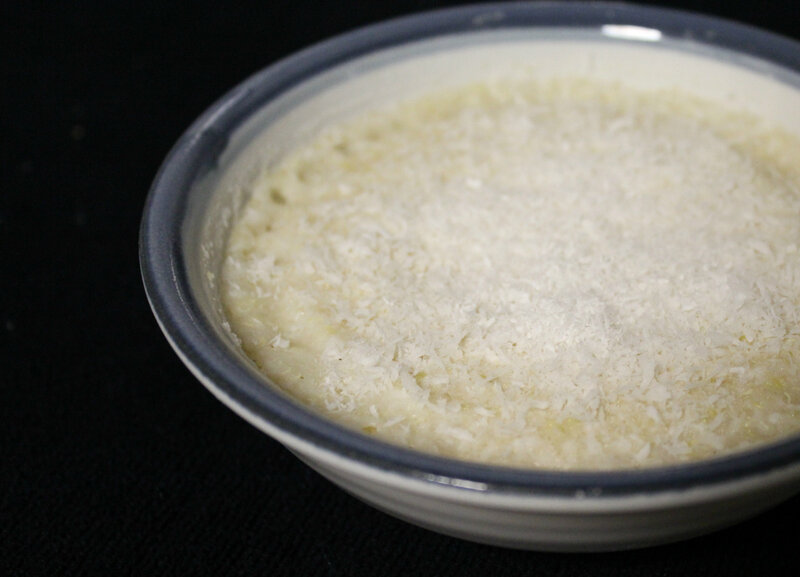 + In a microwave safe bowl, combine quinoa flakes, coconut flour, and shredded coconut. Give it a stir. Then add the liquid ingredients and stir until combined. + Place in the microwave and cook on high for 2 minutes. Safely remove (it will be hot!). Add extra water if necessary (coconut flour makes things thick!). Fun stuff right? This recipe was the first time I ever used coconut flour. Now I use it all the time though in pancakes! So good and really makes things thick! It would be fabulous in a smoothie… 😉 Okay, now I’ll share what you all have been waiting ever so patiently for. 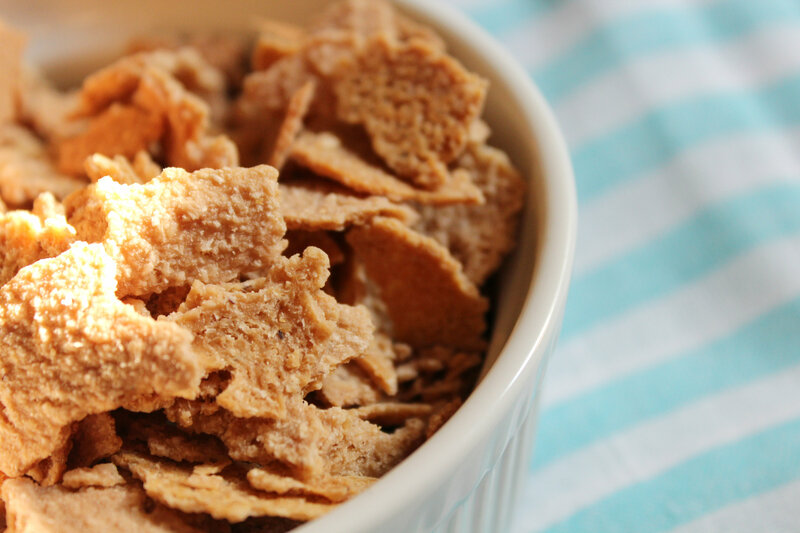 Introducing the new ultimate paleo cereal from Julian Bakery. 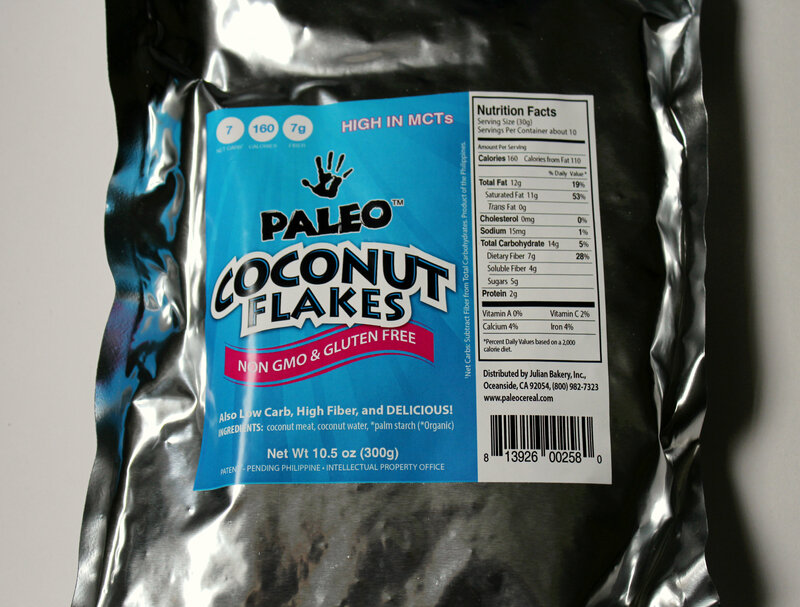 Paleo Coconut Flakes! I am about to blow you mind with these coconutty details! This brand new invention from Julian’s is 100% paleo, gluten-free, soy-free, vegan, grain-free, GMO-free, and low-carb. 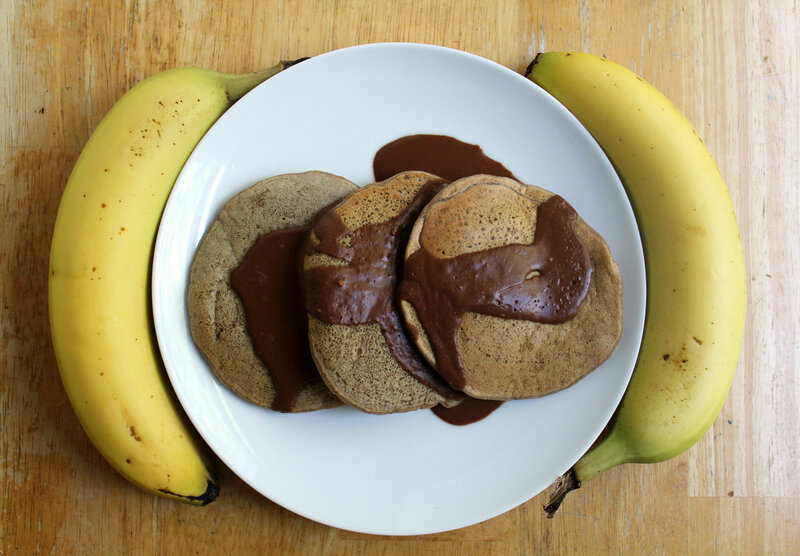 It is made with just 3 real ingredients: coconut meat, coconut water, and palm starch. That’s it! 160 calories per 30g serving (10 serving per bag), 7g of fiber, and 7 net carbs. 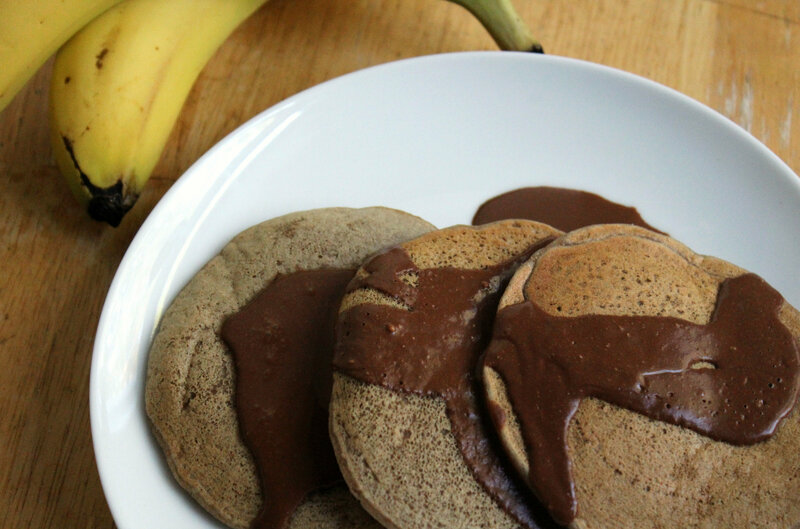 A great morning boost of healthy fats, and protein to power your morning. What do they taste like? Buttery coconut of course! 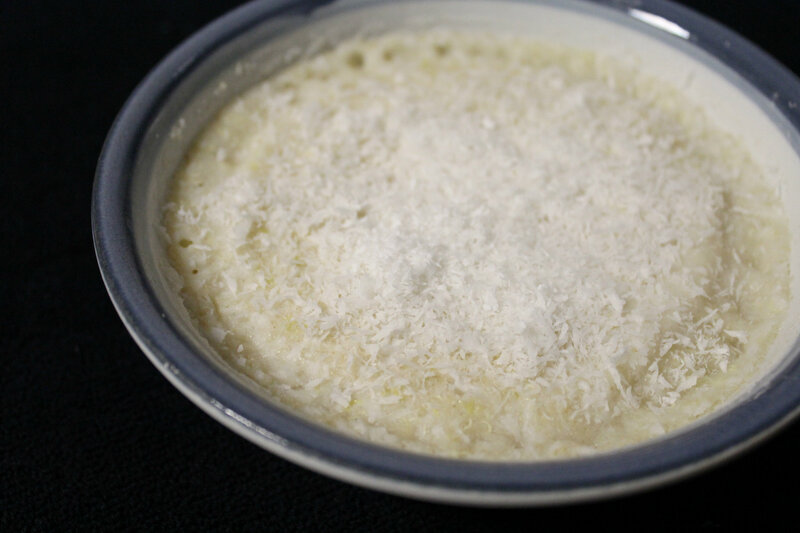 It is like a bowl of crispy buttery coconut butter. So good! Your kind of expecting something really sweet when you see it, but it’s not. It only has that natural subtle sweetness of coconut, but I would say it is more savory. O, but the smell is fabulous! I could breathe it in all day! This stuff is seriously brand new so it is very pricy. $8.99 for one small bag, but it is a definite treat if you decide to spend! If you’re a coconut fiend like me, it will be worth it. 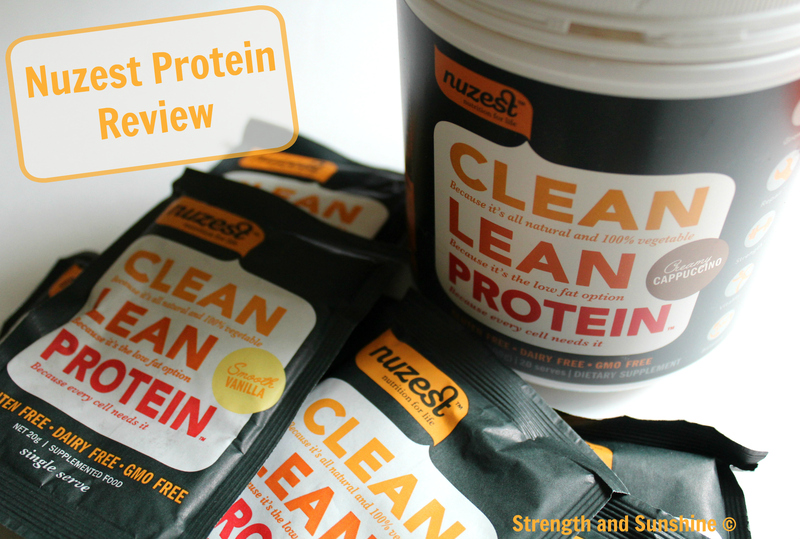 Julian’s sent me a bag for free in exchange for my honest review and to just share it with you all here on the blog. But would I buy it with my own money? Yes! If the prize goes down, but it;s the same with the paleo wraps. Coconut products are expensive. Like $11 jars or 8oz of coconut butter. But sometimes you just have to buy the goodness 😉 Speaking of goodness, I see Julian’s has a Turmeric Paleo Wrap too! I must try! Turmeric is the bomb! + What’s your favorite coconut product? I almost forgot. Coconut water…is so gross! I just can’t even think about it, yuck! + What’s your favorite cereal? I’ll always be partial to Nature’s Path Mesa Sunrise and Vanilla Sunrise cereals! Speaking of honest reviews, I have two for you today! The greatest part is that I don’t have to worry about sharing the cons and negatives here. You know why? Because both were pretty cool. Two totally unrelated products, socks and superfood powder, but hey, this is my blog and bloggers are the most random people I know anyway! Starting with Kushyfoot! Kushyfoot makes everything your feet could ever need. They have socks, tights, slippers, foot covers, “flats to go”. When I saw they had yoga socks, you now the kind that have perfect rubber grips on the bottom so you don’t slip if you don;t have access to a yoga mat?, I was on board to try them out. They sent me 3 types of socks (5 pairs in all) from their new Spring-Summer 2014 collection. When I opened the box and looked at the socks, I was a bit skeptical. People say I have a large foot I am about a 10ish more or less depending on the shoe. So when I saw that these socks said one size fits all, my hopes kind of dropped. But I still had to give them a try before I could tell. (P.S. Please excuse the horrible feet pictures ahead…they are scary). First up with the yoga socks. They slipped on pretty easy, even though they have the toe holes. 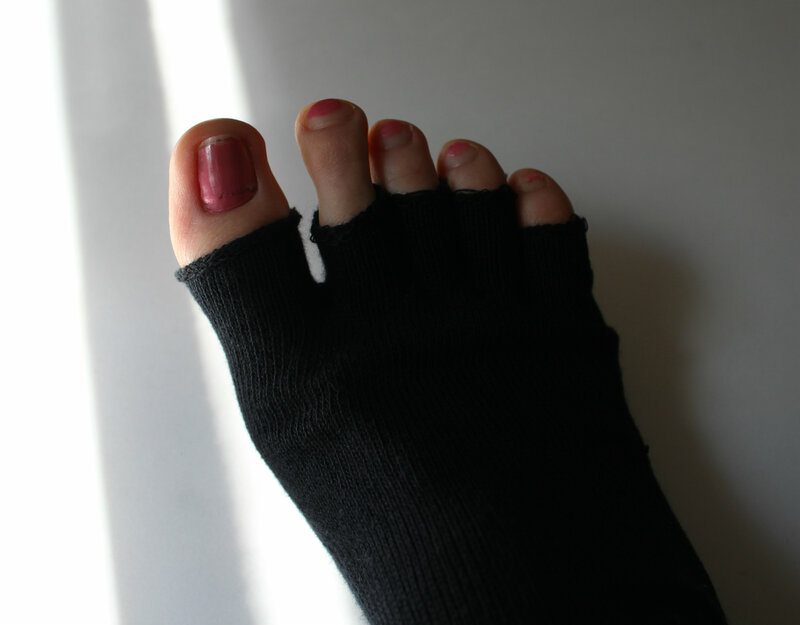 I never used socks with toe holes, so I was worried about that too. But you just pull it on and they actually felt really comfy! I totally love them and they fit my foot perfectly. These will be good for break out yoga sessions anytime anywhere! Next was the foot cover. These are used when you need a really super low unnoticeable sock, or something really light in a sneaker. These were okay, but a bit awkward in the heel. Still, the material was really comfortable and would be great for a no-show. 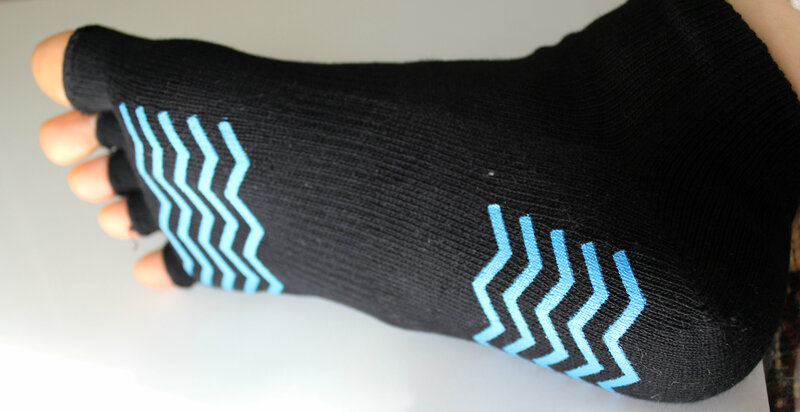 These are the low rise sport socks. They reminded my of my favorite Thorlo sock, except more reasonably priced, haha! They don’t have the padding, but the fit and style in the same. These are my favorite! I always wear socks around the house and to bed (I hate walking on cold floors) so these really are perfect comfy sock for me. Not to heavy for the summer, but still keep you toes nice and cozy. So all in all, I would recommend checking out Kushyfoot for some affordable comfy socks! Now time to switch gears to some superfood! Last time I agreed to try any of these types of powders, I was not impressed. I am really picky with this kind of stuff, but what the heck, if it is safe and allergy-free plus packed with nutrition, I will give it a try and hope for the best. 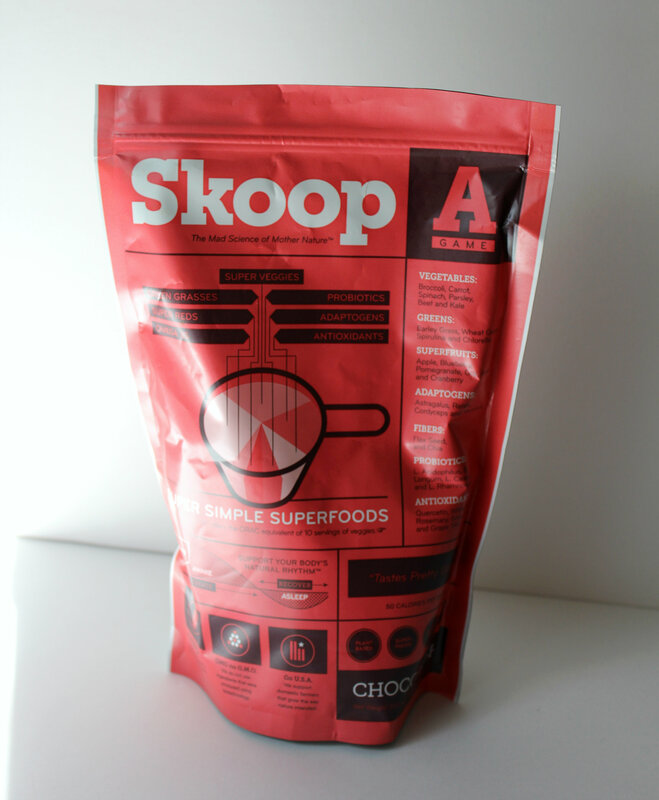 Skoop is a superfood blend created to bring you optimal energy and nutrition throughout your day and make you super! Their two blends are part of the A-Game. One is Chocofresh and the other is Sweetgreens. They are both made of 41 organic non-gmo ingredients that create a crazy mix of vitamins, antioxidants, minerals, micronutrients, and phytonutrients to be delivered to the body. It is created to promote a healthy gut and digestions (yay! ), nutrient absorption, immunity, promote an anti-inflammatory response, fight stress, promote recovery, support your heart, circulation, metabolism, and all around make you feel good! 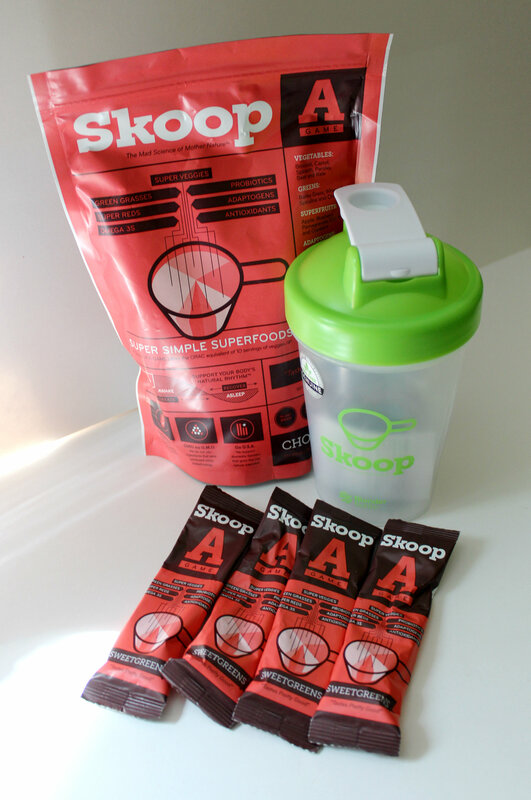 In one little skoop, you get 10 serving of fruit and veggies! Um, what? Yea, I was blown away too. In that 50 calorie serving you are getting all organic green grasses like wheat and barley grass (yes, they are gluten-free. I was scared about the barley grass, but one of their creators has Celiac himself so…they know what they are doing haha! ), super reds like apple and goji, super veggies like broccoli and beets, probiotics, omega 3s from flax, chia, and gum acacia, adaptonges like reishi and coryceps powder, and finally antioxidants from things like green and white tea extracts! All I can say is it is one loaded little skoop! The best way to use skoop is in a smoothie or shake so I decided to try the chocofresh in a smoothie with some blueberries, kale, and spinach. It actually smelled really good when I opened the bag so i had some high hopes. Once I blended it all up, I took my first sip and….I liked it! Now, don’t get me wrong, it did have a “green” taste, but not in a bad sense. It was very subtly chocolatey, but tasted really refreshing! Total win! 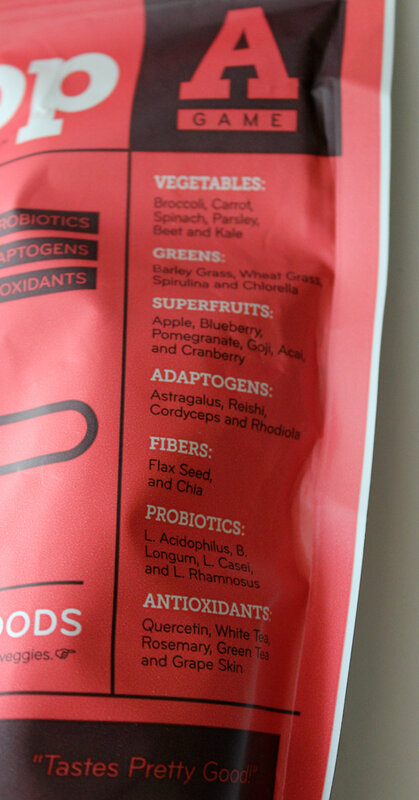 I am really happy I found a superfood powder that actually tastes good! It will be so easy to add to smoothies, almond milk, hot cereals, pancakes, really anything! I definitely need to play around with some pancakes recipes 😉 They also sent me 4 servings of sweetgreens and a cute Skoop blender bottle (that actually has a blender ball in it!). Perfect for actually getting it shaken up in a simply cup of almond milk. So do I recommend Skoop? You bet I do! And not only that, but Skoop is letting me do a fun giveaway so one of you lovely children get to try this stuff out yourself and see if it makes you feel super! One of you will win a 30 serving bag of A-Game, as well as a Blender Bottle! Giveaway runs until next Tuesday the 17th at 12am EST. Just follow the Rafflecopter below to enter! Thanks Kushyfoot and Skoop for providing me with samples of your products for review! As we all know by now, all thoughts and opinions are my own and come from my honest heart! + Do you have a favorite brand of socks? 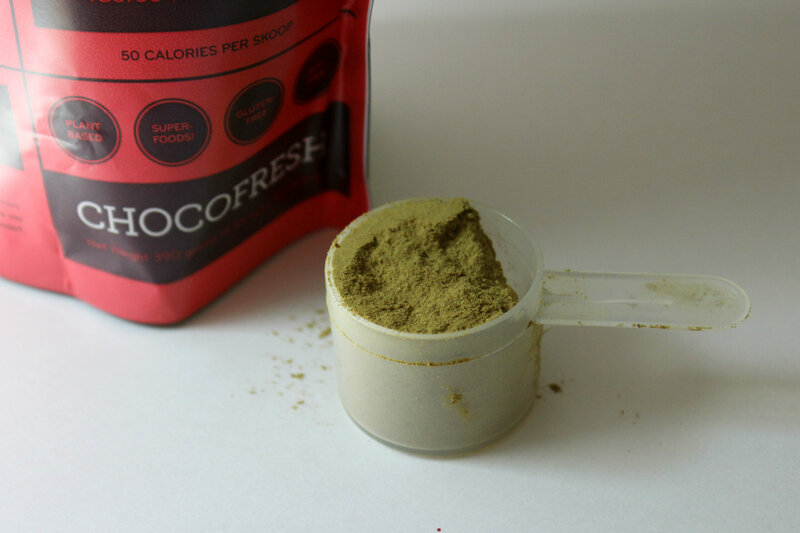 + How can the superfood powder of skoop benefit you and make you super?